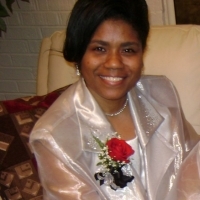 Pastor Carol Davis has an anointing for order and organization. It is no wonder she works so closely with Apostle Diane Washington to help in the Administration of the Trinity Deliverance Church and it's outreaches. She works along-side her husband, Pastor Jimmie Davis, in organizing and administering the functions and outreaches of Trinity. He and Pastor Jimmie are raising their daughter Chloe up in the things of God, knowing full well that if you "train up a child in the way that they should go, when they are old, they will not depart from it".